Good Source of Fiber - Quaker Oats provide a good source of fiber to support a healthy digestive system. See nutrition facts for total fat per serving. No added preservatives, artificial flavors, added colors or sugars. Not a low calorie food. See nutrition facts for sugar and calories information. 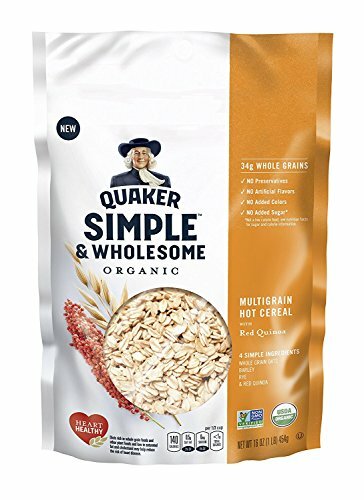 Made with heart healthy whole grains. Diets rich in whole grain foods and other plant foods and low in saturated fat & cholesterol may help reduce the risk of heart disease.